Let's start with one of the great, Free and Open Source text editing tool which enables its user lot of flexibility and extensibility. It is "GNU EMACS". As the GNU EMACS Manual explain about it as, the extensible, customizable, self-documenting real-time display editor. For a beginner, it is very hard to understand the above mentioned quote though. We are going to discuss and we are starting the tutorial series with the hands on example to make learning process easier and faster for everyone. There are many different kinds of usages of Emacs. We are going to start with very basic "know-hows" tutorials eventually moving to advanced ones. So, let's start the wonderful journey. 1. 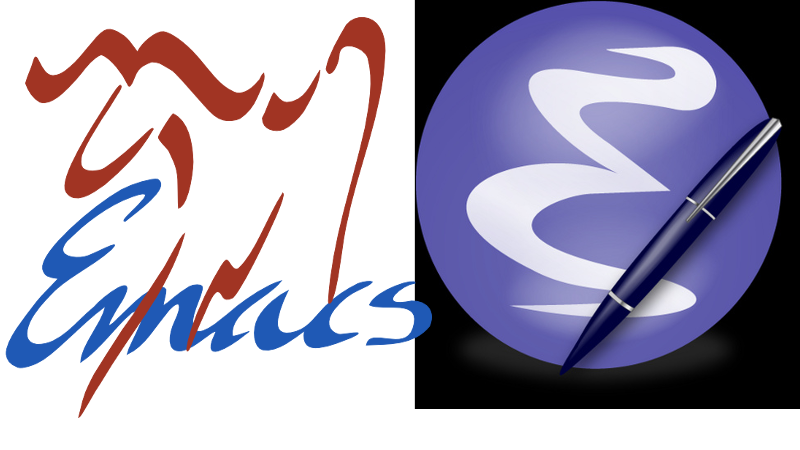 What is Emacs and what it does or capable of. What are the different features available. 2. 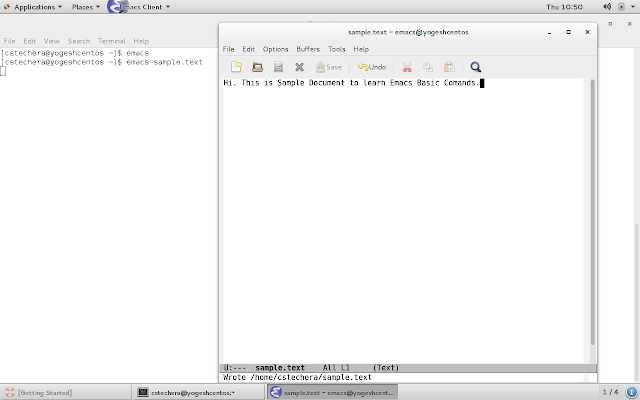 How to create a simple document in Emacs a step by step Hands-on. 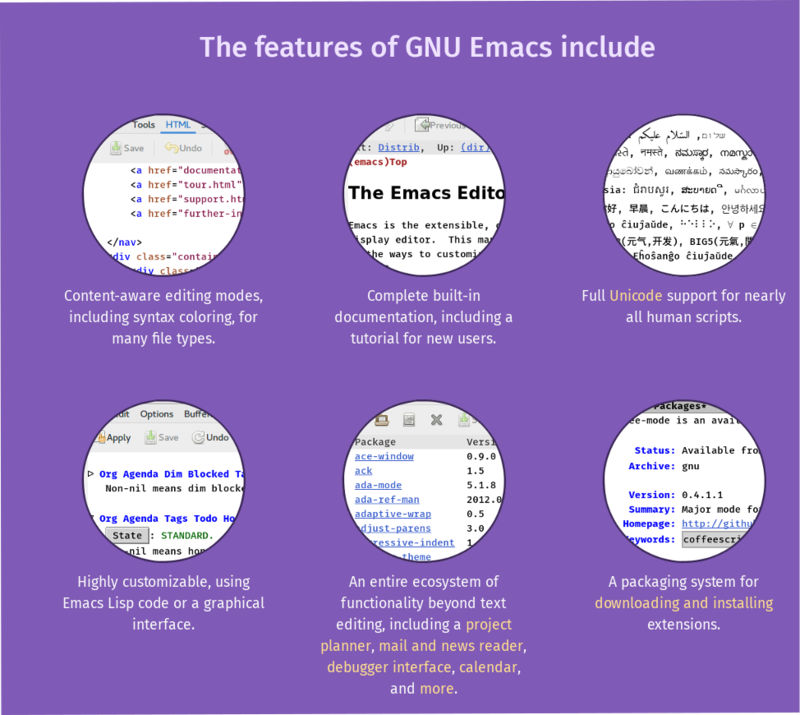 GNU Emacs is Free: It means that the source code is copyable and redistributable. 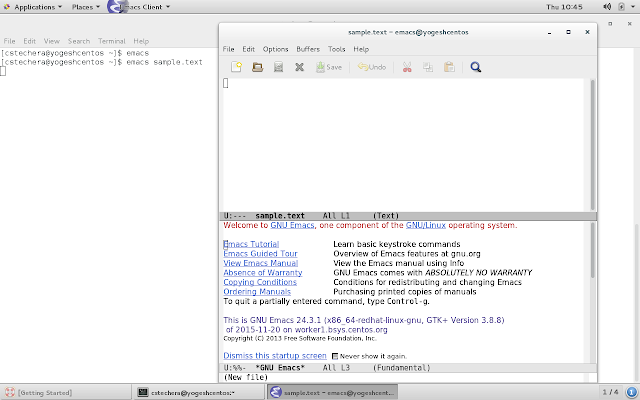 GNU Emacs is Portable: It means that you can use the same editor throughout any machine. GNU Emacs is Extensible: It means that you as a user can customize it anything as per your requirements ans usage. So, it's possible that you could add entirely different properties/functionalities which it's developers might not have thought of. a. Emacs includes special features to help you write in many different human languages and programming/markup languages. c. Emacs can compare two files and highlight their differences. d. Emacs is a file manager. e. Emacs can read news, mail, and RSS feeds as well. Following image summarizes some of the very crucial features of Emacs. 2. Hands-on to create simple text document. Today, we will create a simple text file by using Emacs. We have provided images for each step for your better understanding. a. Open terminal and type "emacs <filename>"
b. After first step Emacs will open in an window with the filename we have provided. If the file doesn't exists then emacs will create the file. 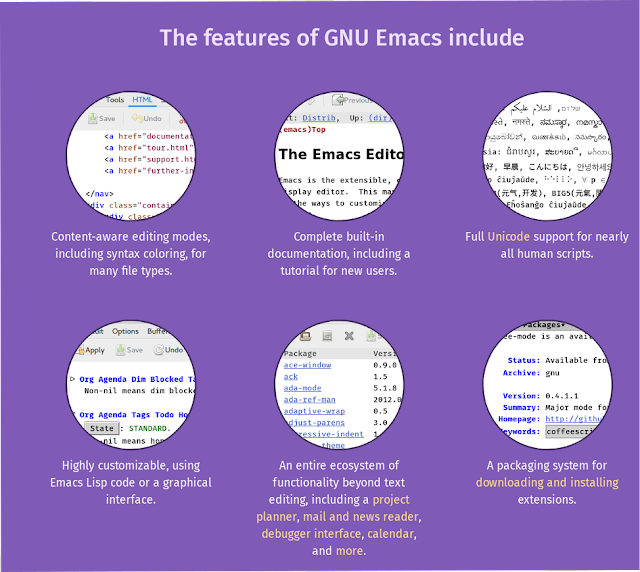 You can start learning Emacs by going through the "A Guided Tour of Emacs"
Friends, that's it for now. I hope it's helpful for you and you loved it. Thank you very much for visiting our website and taking time to read our posts. Please do like it, share it and comment on comment box below to let us know what you think of our website. Also, you could comment any topic you are interested in and we will make sure to post about it. Keep visiting our website and stay tunned for more exciting stuff. Next Post: Emacs Home Page. Previous Post: Happy 6th Birthday, Libreoffice.